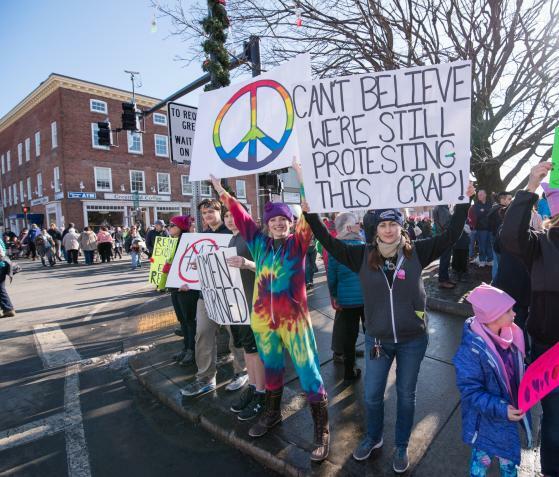 About 3,000 people attended a rally in Northampton and a similar number rallied in Greenfield on January 21, in solidarity with the Women's March on Washington. According to the official march web site, more than 1 million people marched in Washington, and more than 5 million people attended solidarity events around the world. The march organizers' “partners” include Planned Parenthood, the AFL-CIO, and 350.org. 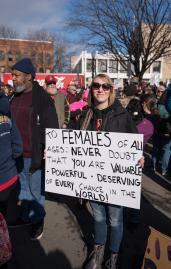 The web site is www.WomensMarch.com. President Trump and the Republican-controlled Congress are trying to cut funding for Planned Parenthood, which provides reproductive health care and education to millions of women, men, and young people worldwide. In the year 1700, there were about 600 million people on earth. By 1800, there were about 900 million. In 1900, there were about 1.6 billion. In 2000, there were about 6 billion. That's according to the U.S. Census Bureau. People are the main cause of climate change, which the world's leading scientists say is a major threat to earth's ability to support human life. The AFL-CIO represents millions of workers in the USA. They use strikes, lobbying, and other methods to raise wages and improve working conditions around the world. 350.org uses marches, rallies, and non-violent civil disobedience to stop climate change by cutting fossil fuel use with energy efficiency programs, solar and wind power, and better public transportation, sidewalks and bike paths, and by protecting open space. These changes can be paid for by raising taxes on billionaires. More than 300 people attended a solidarity march in Keene. 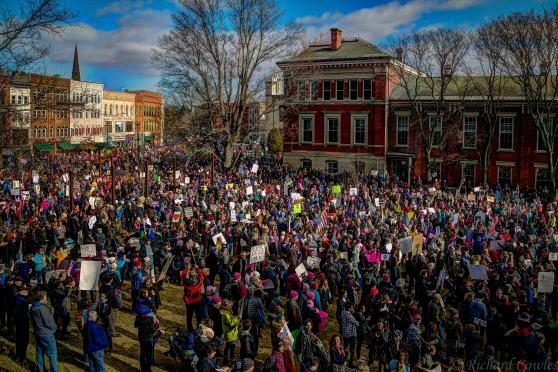 In Brattleboro, more than 250 people rallied. The first photo is from Greenfield. It was taken by Lindy Whiton. The second photo is from Northampton and was taken by Richard Cowles. The third and fourth photos are from Greenfield. They were taken by Thomas Pitta.